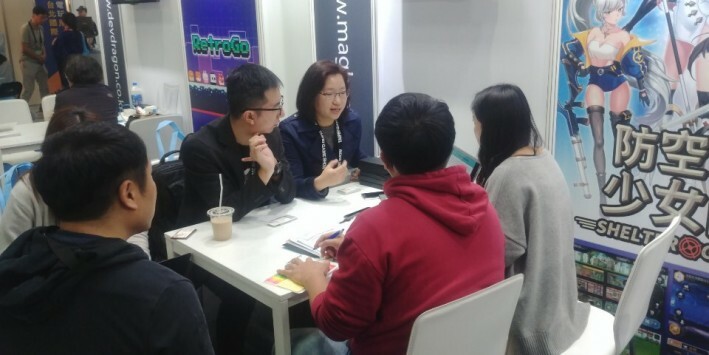 대만 타이베이에서 개최되는 이번 2019 Taipei Game Show에 ‘방공호 소녀단’이 왔습니다 ~!! 전 세계 다양하고 재밌는 게임들이 모인 이 곳 대만의 열기는 후끈후끈 아주 뜨거운데요 ! 3월 초 출시 예정인 ‘방공호 소녀단‘을 열심히 선보이고 있답니다. 사진에서도 진지한 분위기가 느껴지지 않나요 ?! 많은 분들이 ’방공호 소녀단‘에 관심을 가져주셔서 전시회 기간 이틀 동안 약 15명의 해외 바이어분들을 만날 예정인데요. 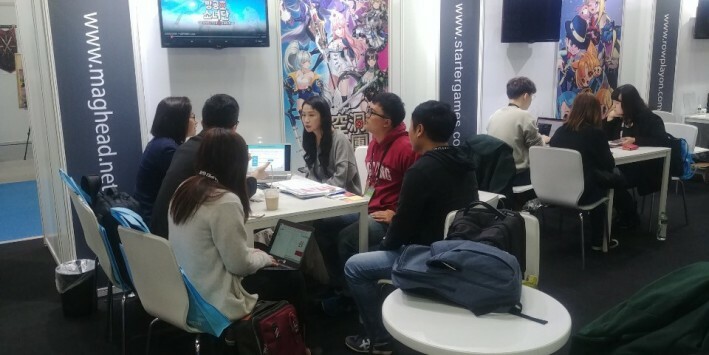 At this 2019 Taipei Game Show in Taiwan, We, ‘Shelter Girls’ came! 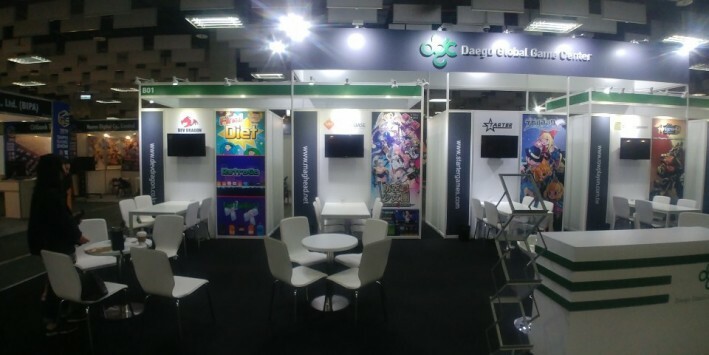 Taiwan is very hot here with various interesting games from all over the world! We are working hard on introducing ‘Shelter Girls’, which is scheduled to be released in early March. Don’t you feel a serious talking atmosphere in the picture, too? 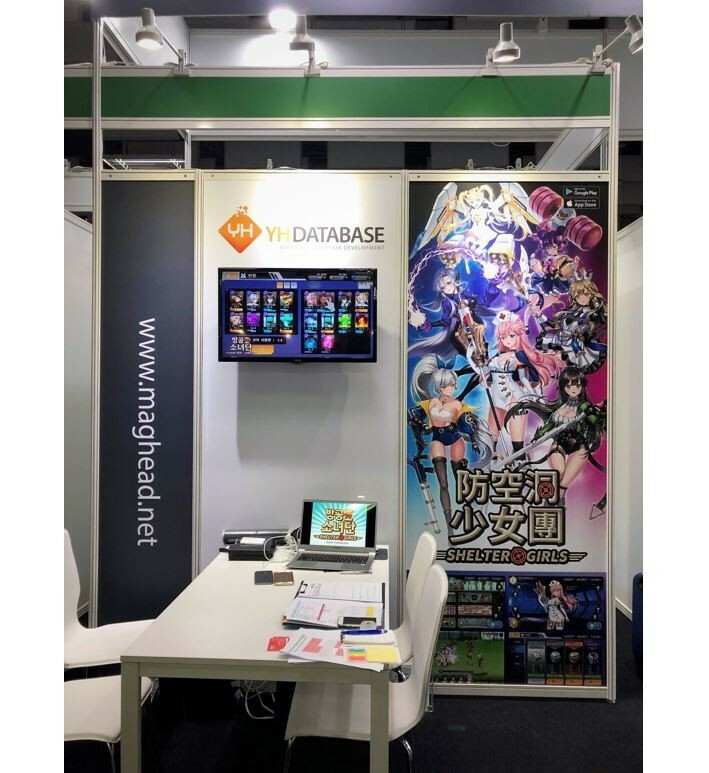 A lot of people have been interested in ‘Shelter Girls’, so we are going to meet about 15 foreign buyers during the two days of the exhibition.